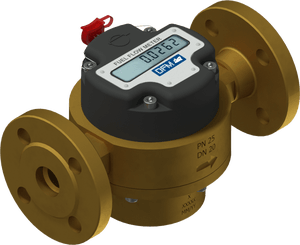 Vendor of DFM Marine fuel flow meter is Technoton. DFM Marine fuel flow meter is designed for monitoring of real fuel consumption and working time of river and sea vessels, mining machinery, diesel gensets and other high-power machinery. DFM Marine is compatible with S6* technology and easily integrated with onboard telematics system together with DUT-E CAN fuel level sensors, FMSCrocodile and MastercCAN FMS-gateways. Option to choose from two measurement units: metric or American.